This article was published in the Middle East Quarterly, Vol. VI, No. 2, June 1999. On October 20, 1998, the governments of Turkey and Syria signed the Adana agreement, a remarkable document. In it, Damascus not only agreed to recognize the Worker’s Party of Kurdistan (Partiya Karkerana Kurdistan, or PKK) as a terrorist organization but pledged to cease all aid to the PKK and to deport its leader Abdullah Öcalan from Syria. (For the agreement’s full text, first published by the The International Policy Institute for Counter-Terrorism see Appendix 1) Even more striking was the fact that the government of Hafiz al-Asad carried out this completely one-sided agreement and implemented the clause about Öcalan’s expulsion before the agreement had been signed. (Öcalan then sought refuge from many countries, including Italy and Kenya, and in February 1999 ended up being captured by Turkish forces.) In other words, the Adana Agreement represents a total Syrian surrender to Turkish demands. The stunning success of this muscle-flexing raises an obvious question: Can Israel, which has many of the same problems with Asad that the Turks do, also impose its will on the Syrian dictator by threatening him? Could Damascus thereby be compelled to cease its support for Hizbullah terrorist and guerrilla activities against Israel, or give up its sponsorship of extremist Palestinian groups? Have the interminable and now defunct Israeli-Syrian negotiations in fact been premised on wrong assumptions? These questions have special import at a moment when, in the aftermath of new casualties in Lebanon, the Israel public opinion is becoming impatient with the cost of keeping troops in southern Lebanon and leading politicians are calling for Israel’s unilateral withdrawal from there. Turkey and Israel have much in common: both are non-Arab, democratic, Western-oriented states that face violent, often terroristic enemies who attack within their borders. They oppose Islamic radicalism and regional instability. Further, they have similar problems with Syria. Turkey’s relations with Syria have three focal points: a dispute over the Euphrates River’s water, which Turkey has been increasingly damning; Syrian support for the PKK; and Syrian irredentist claims over Hatay province, which the Turks gained from Syria in 1939. Israel has parallel disputes with Syria over the control of Jordan River’s waters; Syrian support for Hizbullah and practically all of the Palestinian terrorist organizations; and the Syrian claim the Golan Heights, under Israel control since 1967. Until 1995-96, Turkey and Israel had similarly cautious policies toward what both saw as an extremely tough regime, even with the major difference that Damascus maintained full diplomatic relations with the former and a state of war with the latter. “It is almost a truism among Turkish and non-Turkish analysts,” Malik Mufti affirms, “that Ankara’s foreign policy has been dominated until now by caution, passivity, and adherence to the status quo.” Similarly, since 1973, Israeli governments have seen in Asad the guarantor of a quiet Golan frontier, so they did little to prevent his aggressive policy in Lebanon or his sabotage of negotiations with the Palestinians. For years, Ankara tried, to no avail, to coerce Syria through political and economic pressure to cease supporting the PKK. It signed agreement after agreement but found that the Syrian regime violated every one of them. For its part, Jerusalem has relied on a policy of reaching understandings with Damascus about “red lines” for the Syrian presence in Lebanon and its support for the Hizbullah activity in southern Lebanon—only to find that these too were constantly broken. Turks and Israelis acted mildly in response to these violations. For example, after officially requesting the extradition of Öcalan at the beginning of 1996,, Ankara did nothing more than suspended official contacts with Damascus to express its displeasure at not being heeded. Likewise, Jerusalem responded to the Syrian support for Hizbullah and Hamas terrorism campaigns during the delicate negotiations at Wye Plantation in early 1996 with nothing more than canceling the talks. According to Alain Gresh, changes on the Turkish side first took place in 1996, when several attacks took place in Syria against offices suspected of sheltering PKK officials; in December a bomb exploded in a bus on the Damascus-Aleppo route causing eight deaths. Reportedly, the Syrians suspected a Turkish hand behind the bombing. Beginning in January 1996, the Turkish government persistently conveyed a series of very tough demands to Damascus that the Syrians seemingly did not comply with. (For the text of the official Turkish demands, see Appendix 2, published by The International Policy Institute for Counter-Terrorism). Then, in September 1998 came the Turkish power play. It came at the end of a severe crisis that had begun in mid-September 1998, when Ankara began a series of political and military maneuvers, including an ultimatum from Turkey’s President Suleyman Demirel that if Damascus did not cease supporting the PKK, the military option would be used. Prime Minister Mesut Yilmaz requested parliamentary consent for a war with Syria, although, he said, war was not the desired outcome. In a rare display of unity, all political parties in Parliament, including the opposition Islamist party, Fazilet Partisi, approved a declaration calling on Syria to cut its support for the PKK or be ready to “bear the consequences.” More remarkable, this tough stance also won support from the virtually every other quarter, including the military, the media, and the public at large, all of whom had grown increasingly disillusioned with Ankara’s inconclusive peace overtures to Syria since 1985. The Turks backed up their demands with high-profile military moves of an unprecedented nature: pilots flying reconnaissance sorties along the Syrian border received advance permission to open fire in the event of any Syrian harassment; mechanized units took over border patrols; the army canceled leaves and recalled personnel to bases of the Second Army; and plans were made to evacuate the families of Turkish diplomats from Damascus. Then Asad capitulated. This event calls for two explanations: why did the Turkish authorities decide to take such resolute action when they did? And why did the Syrians buckle? On the first point, many factors apparently contributed to the change in approach, including: the recent successes of the Turkish army and security forces in countering PKK’s activity, significantly weakening its operational capabilities; at the same time, the PKK seemed to be making major political advances in Europe. The Turkish military decided to remove the Islamic Welfare Party from power and reduce Iranian involvement in their internal affairs as part of the government’s fight against fundamentalist Islam, and this had implications for Iranian support for the PKK too. The American missile strikes on Usama bin Ladin’s bases in Afghanistan and chemical plant in Sudan just a month earlier gave implicit sanction for a tough Turkish stance; at the same time, the American need for Turkish support in the Iraqi crisis created favorable conditions. And the dramatic growth in strategic and other ties to Israel, conveniently to the south of Syria, gave heart to the Turks to take a stand. To the surprise of most observers, Asad meekly accepted the Turkish ultimatum. Reasons for this might include these factors: the evident resolve of a country of 65 million inhabitants, with the second-largest army in the North Atlantic Treaty Alliance (NATO), to use military force; the fear of a Turkish-Israeli alliance that would find Syria in a two-front war; and the perception that the PKK had become a liability. As the casualties in Lebanon continue year after year, Israelis are increasingly impatient with the situation there and seek a new approach. Interestingly, views on this subject divide across the usual political and ideological lines. Three main schools of thought exist: continue the status quo (in the hopes of a comprehensive agreement with Damascus); unilateral withdrawal, either at one time or in stages; or a punitive policy directed mainly against the Lebanese economic infrastructure and possibly Syrian targets in Lebanon. Note that none of these resemble the Turkish approach of dealing directly with Damascus. Status quo. The key political leaders (Prime Minister Netanyahu and opposition leaders Ehud Barak of Labor and Mordechai of the new Center Party) maintain that the status quo must be continued until the moment arrives for real negotiations with the Syrians. This means, in effect, accepting that Israel must pay the price of constantly losing soldiers in southern Lebanon. Barak has gone further and publicly promised “to bring back the boys” from Lebanon within a year of his election as prime minister and achieve a peace agreement with Syria with all that it implies. Mordechai has said he would strive to reach a “reasonable compromise” with Israel’s neighbors, adding that he and his colleagues support the idea of a “territorial compromise” on the Golan Heights and an agreement on Lebanon to be reached in talks with Syria. Netanyahu has also promised to bring peace with Syria and solve quickly the South Lebanon problem if he is elected, without explaining exactly how he would do this. Netanyahu has declared indeed that his government, as opposed to the Labor government, was “working on a logical solution to bring about a responsible pullout from Lebanon, not at any price, of course, including not at the price of handing over all of the Golan Heights, which the Labor Party was willing to give the Syrians.” Barak, who negotiated last year with Netanyahu on forming a unity government, said that Netanyahu’s positions on the issue of the Golan Heights are soft; he even warned the residents of the Golan Heights that they should not trust him, hinting for the first time publicly at what had already leaked in the press from their secret negotiations: that he and Netanyahu have similar views about the need to withdraw from the Golan. Lately, during the first television debate with Netanyahu, Mordechai also hinted at the PM’s real policy. According to sources close to Mordechai, Netanyahu sent a message to Asad proposing the retreat from the Golan if alert stations will be left on the Heights. The military establishment generally endorse the status-quo approach. As a senior security source says, “the Israeli public must understand that the price of keeping Katzrin [a town on the Golan Heights] is thirty dead soldiers every year in Lebanon.” It sees unilateral withdrawal from Lebanon as too risky, even if it is in stages as suggested by Foreign Minister Ariel Sharon and other ministers. Nor does it support waging war against the Lebanese economy, on the grounds that this would not change the strategic situation. Unilateral withdrawal. This approach has made major gains in the past year, thanks in good part to the activism of the Four Mothers movement which developed spontaneously in the aftermath of a helicopter accident en route to southern Lebanon in February 1997, killing seventy-three soldiers. Politicians favoring unilateral withdrawal, like the Labor leader Yossi Beilin and Internal Security Minister Avigdor Kahalani of the Third Way, argue that Israel can deter attacks from Lebanon just as well from its own side of the international border as it can from the “security zone” it maintains in southern Lebanon. Growing number of voices in the military oppose the present stalemate and support an unilateral withdrawal. According to some reports, after the latest declarations of Netanyahu, Barak and Mordechai, the army has begun preparing for withdrawal. Proponents of this approach claim that Hizbullah has no real interest in continuing its guerrilla war once it gets Israeli troops out of southern Lebanon. Despite occasional pronouncements in the contrary, they say, Hizbullah has never intended to liberate Palestine but only to advance the domestic social and political goals of its Shi`a constituency. They note that in fifteen years of fighting, Hizbullah commandos have never once attempted to cross the Lebanese border into Israel. Advocates of this approach point out that -— should Hizbullah misbehave -- the withdrawal of troops does not preclude forceful Israeli action against Lebanon’s infrastructure, the Syrian-Iranian supply network, or other steps. They also point out that Israel’s departure from Lebanon changes the rules of the game: Asad and his allies can no longer justify the Syrian occupation of Lebanon on the grounds that the Israeli occupiers are there and must be confronted. Opponents of a unilateral withdrawal argue that Syria would continue to encourage guerrilla attacks, now on Israel proper, as a way to bring its government to resume the negotiations over the Golan Heights. And, they say, Hizbullah would happily play this role, given its own interest in eliminating Israel and liberating Jerusalem. They also note that Israeli forces in fact could not reenter Lebanon at will on being attacked. Further, the South Lebanese Army (SLA) would collapse once the Israel Defense Forces (IDF) leave southern Lebanon, meaning Israel would lose whatever support it has among the civilian population. Finally, unilateral withdrawal signals that Hizbullah had successfully broken Israeli public opinion -- encouraging Hamas and other Palestinian extremists to step up terrorist attacks on Israeli targets. Military action against Lebanese targets. politicians or anasupport this option, which resembles the lines of the Grapes of Wrath operation in 1. It is very difficult to hit Hizbullah targets, for these are often schools, clinics, and mosques. And what good would this do? To Kahalani’s proposal that Israeli planes knock out the Beirut electricity grid, the military establishment replies that this would unleash a barrage of Katyusha rockets on northern Israel, resolving nothing, as in years past. The one approach the government has not tried is the one that conforms with its own argument that Syria and Lebanon are inextricably linked —- tell the Syrians to stop the violence coming out of Lebanon, or else. If Israel’s leaders agree that Syria lies behind the attacks on their country from Lebanon, they also agree -- tacitly -- not to advocate taking operational steps to force Damascus to stop what it is doing. There are hints of this approach. 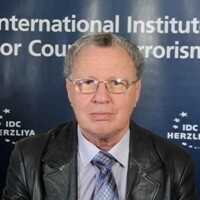 Uzi Landau, the Likud chairman of the parliament’s Security and Foreign Affairs Committee, has called for Israel to adopt the “Turkish model.” Earlier, he proposed the bombing of Lebanese strategic and infrastructure targets, and only more recently has he also included Syrian interests in Lebanon. Moshe Arens, the new minister of defense, before coming to office found it amazing that the Syrians could sponsor Hizbullah attacks against Israel with impunity and despaired of his country’s fortitude. Israel doesn’t seem to have the stamina for this kind of war, and doesn’t seem to have the sense to change the rules of engagement. This perception is a clear invitation for an escalation in Hizbullah’s violent activities against Israel. As long as we insist on fighting shadows, the Syrians will continue to seem invulnerable. Since becoming defense minister, however, Arens has dismissed the idea of embarking on a major military operation in Lebanon but says he has not made his mind yet what to do. Reports indicate that more military voices are asking for military pressure on Syria. Efraim Inbar, director of Bar-Ilan University’s Begin-Sadat Center for Strategic Studies, is a rare voice calling for a tough approach, saying that Ankara has a good understanding of the Middle Eastern rules of the game. He argues that the IDF should end the cost-free Syrian support of Hizbullah by hitting Syrian targets in Lebanon. Opponents to “muscled diplomacy” mainly fear that the military option in Lebanon will lead to a full-scale war with Syria, which would not be accepted by the majority of the public opinion in Israel, which, to the contrary, is eager to achieve a peace agreement with Syria. For its part, the army sees operations against Syrian targets as too dangerous. During the Turkish-Syrian crisis, it bears noting, Defense Minister Yitzhak Mordechai emphatically declared that Israel had nothing to do with Turkey’s military move; to calm Syrian fears, he even canceled some military exercise on the Golan. First, it is risky to think Hizbullah will stop the attacks if Israeli troops withdraw. Hizbullah’s main goal is to transform Lebanon in an Islamic state ruled by the Shari’a (Islamic sacred law); the difficulty of achieving this goal makes the fight against Israel, another important objective as defined by its February 1985 covenant, a means both to advance its Islamic credentials and to help its Syrian and Iranian sponsors. According to Martin Kramer, a leading specialist of Hizbullah and director of the Moshe Dayan Center at Tel-Aviv University, the organization would likely take advantage of a power vacuum in the south to attack Israel and test Israel’s resolution. Indeed, Hasan Nasrallah, Hizbullah’s secretary-general, has maintained a carefully ambiguous position about his intentions. He says that Syria, Lebanon, and Hizbullah cannot grant Israeli security guarantees after it withdraws and hints that Palestinian cells would infiltrate the border to strike at Israeli targets, perhaps signaling the methods to be used to fight Israel post-withdrawal. Recently he has declared, “Hizbullah will continue its fight, until the conquest of Palestine, from the Jordan River to the sea.” It also bears note that even if Hizbullah has not sent commandos across the border, it has twice tried to infiltrate terrorists from abroad to perpetrate terrorist attacks in Israel: Muhammad Husayn Mikdad, a Lebanese Shi’i, went to Israel in April 1996 (disguised as a Briton named Andrew Newman) to explode a bomb in Jerusalem and a German convert to Islam, Steven Smirek, tried to carry out acts of terror in Tel Aviv in December 1997. Third, according to Ze’ev Schiff, even if the Syrians’ position appears to have weakened, they can still cause a considerable amount of strategic damage. Therefore, Israel should exercise care when assessing a possible Syrian reaction to its military operations. Keeping this admonition in mind, what are the likely responses to Israeli muscle-flexing? For one, it can ramp up the terrorist activities of Hizbullah and Hamas, neither of which needs much incentive to go after Israelis; but how effective Hamas would be depends in large part on the willingness of the Palestinian Authority to clamp down on it. It could in addition drive Hizbullah to a new spate of international terrorism. Alternatively, the Syrians could make trouble for Israel indirectly, for example, by destabilizing Jordan, a specially tempting target no doubt at this moment of transition with the young King Abdallah II still feeling his way forward. The Iranian option seems problematic. Tehran can do little more for Hizbullah than it already does; and significant military support for Syria does not seem credible. The Iraqi card could be more potent, for improvement in relations between the two countries has been considerable -- and directly at the expense of Syrian relations with the United States, as highlighted by the anti-American demonstrations in Damascus after Operation Desert Fox, which led to an assault on the U.S. embassy. That said, it is not clear what impoverished and weakened Iraq can to do help Syria that is worth the active hostility of Washington. More broadly, heightened tensions between Israel and Syria would quickly translate into tensions between Israel and other Arab states, and with Egypt and Jordan in particular. The Egyptians have already reacted strongly to the signing of Turkish-Israeli agreements and could well see the two states being engaged in an anti-Arab conspiracy. Israel would need to deploy an intensive diplomatic and information effort to explain its position in the West, explaining that the American policy favoring decisive action against states sponsoring terrorism means not letting Syria continue to get away with its criminal actions. Syria should not receive a prize for her occupying illegally Lebanon and using its territory to wage a proxy terror war against Israel. As the State Department itself has declared: “Terrorism of any sort is unacceptable and the international communmust be committed to seeing that justice is done.” Jerusal might also note that Syria (and Hizbullah) has not yet paid for the killing of American Marines anFrench troops in 1983 in Beirut, for assistance to Palestinian groups sabotaging the peace process in 1995 and 1996, much less for the 1998 mob attacks against the American embassy in Damascus. Also, Israel cannot accuse the Palestinian Authority of not stopping terrorism while ignoring the Syrian abuses. The Israeli government will have also to take in consideration the mood of its own public opinion, wary of the events in Lebanon and the difficult and painful peace process with the Palestinians. It will have to convince the Israeli people that the present situation is no more acceptable and the achievement of the withdrawal from Lebanon and a fair and lasting peace with Syria passes through a test of force with the Syrian regime, responsible for the bloodshed and the impasse in the process. · A beleaguered Syria, surrounded by hostile countries, all the weaker after its crisis with Turkey. · The decay of the Syrian military in the years since the end of the U.S.S.R.: the Syrian military is nothing like the kind of force it was in the 1980s. · Apprehensions in Damascus about Turkish-Israeli coordination. · The weakening of Iran, Syria’s sole strategic partner and the main sponsor of Hizbullah. · The acute and growing succession issue in Syria that leaves Asad in need of stability to “enthrone” his son Bashar. · Asad may have nerves of steel but his capitulation to Ankara shows that he knows when to retreat. In all, a Turkish-style military option appears to be the last resort to break the stalemate and bring about a change in Syrian policy if after the elections Asad will stay fixed on his die-hard position. The time has come for Israel not just to draw “red lines” in Lebanon but to stand by them and conduct the negotiations from the position of strength it actually enjoys. As Efraim Inbar has remarked, successive Israeli governments have failed to realize what the Turkish government has proven: Syria is susceptible to military pressure and this will not necessarily lead to a full-scale war. The new Israeli government elected in the May elections should clearly and publicly express its desire to arrive rapidly to a full peace agreement with Syria, which could include the total withdrawal from the Golan and from South Lebanon, under conditions to be decided at the negotiation table. Israel must not repeat the mistake of giving Syria a free hand to use terrorism from Lebanon to reinforce its diplomatic position. The government should declare (1) that Syria will be held responsible for any guerrilla or terrorist activity against Israel in southern Lebanon and (2) that Damascus must close all facilities on territory under its control used by groups that use terror against Israel. To prevent Syrian misunderstanding of Israeli resolve, military activity in Lebanon should be accompanied by an alert and the deployment of IDF troops to be ready for any escalation in Lebanon or along the Golan front. If it does not suffice, and terrorist attacks continue, Israel must be ready to use military force. Air attacks against Hizbullah and Palestinian targets in Lebanon must follow, as well as their headquarters in the Beirut area. Syrian intervention, or even an anti-aerial threat, should be accompanied by the immediate destruction of its batteries (along the lines of the U.S. and allied bombings in Iraq and Serbia). If this does not suffice, larger scale air attacks against the Syrian troops stationed in Lebanon will have to follow. Syria has vast strategic, political and economic stakes in Lebanon and some 35,000 soldiers stationed there. Were Israel to attack and destroy this presence, it would deal a critical blow to its power and regional status. Clearly, Israel must also be ready for the possibility that Syria will enlarge the conflict to the Golan and will threaten a full scale war, in which case Israel should stand by its policy to the end. In all likelihood, the Turkish experience implies the threat of force will be sufficient to win a favorable change in Damascus, without having to resort to violence. Even a dovish Israeli political analyst who supports the unilateral withdrawal, like Yoel Marcus, recognizes that Asad is less composed than he appears. With a weak army whose equipment is antiquated, Asad is in no hurry to plunge into a direct military confrontation with Israel. Therefore the probability of Syria going to war with Israel over the clash on its continuous terrorist policy seems low. The Israeli government’s policy toward Syria has been extremely cautious and conservative for almost three decades. It has not coped well with President Asad’s skillful and immoral use of terrorism in Lebanon, a clever policy that has caused Israel no end of heartache. It now has the right and the duty to make use of every option, even the military one, to insure its legitimate interests and its people’s security and welfare. In light of the messages conveyed on behalf of Syria by the President of the Arab Republic of Egypt, H.E. Mr. Husni Mubarak and by the Iranian Foreign Minister H.E. Mr. Kemal Harrazi on behalf of the Iranian President H. E. Mr. Seyid Mohammed Khatemi and by the Foreign Minister of the Arab Republic of Egypt, H.E. Mr. Amr Moussa, the Turkish. and Syrian delegations whose names of which are listed in the attached list (Annex 1) have met in Adana on 19 and 20 October 1998 to discuss the issue of cooperation in fighting terrorism. 1. As of now, Ocalan is not in Syria and he will definitely not be permitted to enter Syria. 2. PKK elements abroad will not be permitted to enter Syria. 3. As of now PKK camps are not operational and definitely will not be permitted to become active. 4. Many PKK members have been arrested and have been taken to court. The lists are available, and Syria has delivered these lists to the Turkish side. 1. Syria, on the basis of the principle of reciprocity, will not permit any activity which emanates from its territory aimed at jeopardizing the security and stability of Turkey. Syria will not allow the supply of weapons, logistic material, financial support to, and propaganda activities of, the PKK on its territory. 2. Syria has recognized that the PKK is a terrorist organization. Syria has, alongside other terrorist organizations, banned all activities of the PKK and its affiliated organizations on its territories. 3. Syria will not allow the PKK to establish camps and other facilities for training and shelter, or to have commercial activities on it territory. 4. Syria will not allow PKK members to use Syria for transit to third countries. 5. Syria will take all necessary measures to prevent the head of the PKK terrorist organization from entering into Syrian territory and will instruct its authorities at border points to that effect. Both sides have agreed to establish certain mechanism for the effective and transparent implementation of the measures mentioned above. a) A direct phone link will immediately be established and operated between the high-level security authorities of the two countries. b) The Sides will appoint two special representatives each to their diplomatic missions and these officials will be presented to the authorities of the hcountry by the heads of mission. c) The Turkish side, within the context ocombating terrorism, has proposed to the Syrian side to establish a system that will enable the monitoring of security enhancing and their ef. The Syrian side has stated that it will present this proposal to the authorities for approval and will inform Turkey on the result as soon as possible. d) The Turkish and Syrian sides, contingent upon obtaining Lebanon’s consent, have agreed to take up the issue of the combat against PKK terrorism in a tripartite framework. e) The Syrian side has committed itself to take the necessary measures for the implementation of the points mentioned in this “Minutes” and for the achievement of concrete results. Given the fact that Turkish-Syrian relations were seriously damaged by Syrian support for terrorism, we want Syria to accept formally its obligations and renounce its previous stand on this matter. These obligations should include a formal commitment not to give terrorists support, sanctuary, and financial assistance. Syria should also prosecute PKK perpetrators and extradite to Turkey the chief of the PKK, Abdullah Ocalan and his collaborators. · Facilitate the passages of terrorists from third countries (Europe, Greece, Southern Cyprus, Iran, Libya, Armenia) to northern Iraq and Turkey. 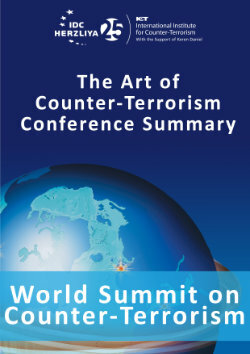 · Cooperation in all activities aimed at fighting terrorism. · Abstention from inciting other countries which are members of the Arab League against Turkey. In light of the above, unless Syria refrains from these acts immediately, with all the consequences, Turkey reserves the right to exercise her inherent right of self-defense, and under all circumstances to demand just compensation for the loss of life and property. Indeed, these views were transmitted to Syria through diplomatic channels on 23 January 1996. However, our warnings have fallen on deaf ears. 1. Barry Rubin, “Notes on Turkey-Israel Relations,” MERIA News, July 1997. 2. Kemal Kirisci, “Post Cold-War Turkish Security and the Middle East,” MERIA Journal, May 1997. 3. Malik Mufti, “Daring and Caution in Turkish Foreign Policy,” The Middle East Journal, Winter 1998. 4. Alain Gresh, “Grandes manoeuvres regionales autour de l’alliance IsraeÉlo-Turque,” Le Monde Diplomatique, Dec. 1998. 5. Turkish Daily News, Oct. 8,1998. TDN cited an analysis published by the Janes Information Group concerning the military moves. 6. David Makovsky in Ha’aretz, Mar. 3, 1999. 7. Ha’aretz, Mar. 3, 1999. 8. Ha’aretz, Jan. 26, 1999. 9. Ha’aretz, Mar. 3, 1999. 10. Ha’aretz, Mar. 3, 1999. 12. Ha’aretz, Mar. 3, 1999. 13. Ma’ariv, Mar. 31, 1999. 14. Which is not precisely accurate: on June 16, 1991, a seaborne Hizbullah commando tried but failed to attack the northern Israeli town of Nahariya. 15. See Yoel Marcus in Ha’aretz, Mar. 2, 1999. 16. See Dan Margalit, "Let the government decide first, " Ha’aretz, Dec. 28, 1998. 17. Ha’aretz, Jan. 1, 1999. 18. Moshe Arens, “A Dangerous Game,” The Jerusalem Post, Dec. 4, 1998. 19. See Arieh O'Sullivan and Amotz Asa-el, "Moshe Arens: There is no magic solution",The Jerusalem Post, Mar. 12, 1999. 20. Ma’ariv, Mar. 31, 1999. 21. The Jerusalem Post, Oct. 19, 1998; Jan. 11, 1999. 22. Ha’aretz, Dec. 7, 1998. 24. Ma’ariv, Mar. 31, 1999. 25. Ha’aretz, Dec. 27, 1998. 26. Ha’aretz, Mar. 21, 1999. 27. The Jerusalem Post, Mar. 5, 1999. 28. Abbas Kelidar, “Syria’s Regional Relationships: Past and Present,” Policywatch, Nov. 19, 1998. 29. Ze’ev Schiff, “Which Key Does Damascus Hold?” Ha’aretz, Mar. 8, 1999. 30. Eyal Zisser, “Syria’s Asad -- the Approach of a Fifth Term of Office,” Policywatch, Feb. 6, 1999. 31. “Bringing ?calan To Justice,” U.S. Department of State Press Statement by James P. Rubin, Spokesman. Nov. 23, 1998. 33. Efraim Inbar, “The Calculus Of Violence in Lebanon,” The Jerusalem Post, Jan. 11, 1999. 34. Islamic Jihad, the Popular Front for the Liberation of Palestine -- General Command of Ahmed Jibril, the Popular Front for the Liberation of Palestine of George Habbash, and others. 35. Ha’aretz, Mar. 2, 1999.